The execution of punts and kickoffs can make a dramatic impact in a game. Just look at last season. Some consider a punt a sign of football failure. Not Mike Vance. Executing – and defending – punts and kicks are at the core of football’s special teams’ play. In the NFL, special teams are often home to reserves who put their bodies on the line in a series of high-speed collisions for the benefit of a paycheck. For college players, it can be a path to a scholarship. For high schoolers, it’s often their first taste of varsity action. 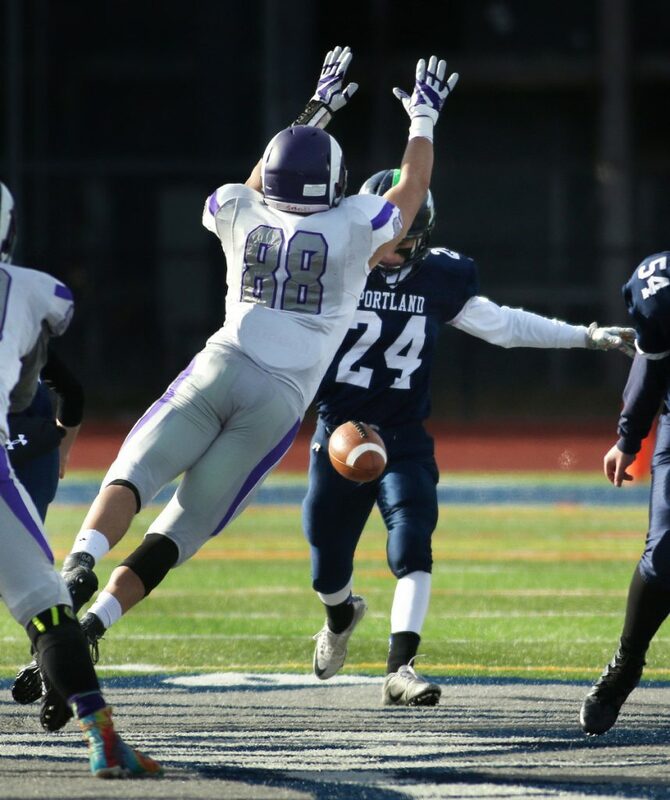 Last season, special teams had an impact throughout the Maine high school football season, from opening night (Oceanside’s Michael Norton returned the opening kickoff for a 72-yard touchdown in a 38-14 win over eventual Class C state champion MCI) to the final game (Deering blocked two punts and recovered an onside kick in a 22-20 Thanksgiving Day win over rival Portland). “The saying is, special teams win championships, defense wins games, and offense puts people in the seats. And that’s true,” said Portland Coach Jim Hartman. Biddeford Coach Brian Curit has vivid memories of a special teams play determining a championship. “It was 1994, my first season as coach. My goodness, 36 seconds left, we run an 80-yard (punt-return) touchdown back; that was the state championship. Steve Tardif ran it back. We forced overtime and beat Waterville in overtime,” Curit said. It’s hard to say special teams were the difference in last season’s Class A championship game. A dominant Scarborough team beat Windham, 57-0. But special teams absolutely set the tone. Jeremy Sendrowski returned the opening kickoff 53 yards to Windham’s 26. Six plays later, Scarborough led. Then, after a quick defensive stop, Jarett Flaker returned a punt 55 yards to the 10, setting up a second touchdown. “We’re ahead 14-0 with about 30 yards of offense,” said Scarborough Coach Lance Johnson. In contrast, Windham continually started its drives deep in its territory, thanks to Liam McDonnell’s deep kicks and Scarborough’s coverage. “When you can play defense with the other team having to go 80 yards, it makes it a lot easier, and if you’re starting drives at the 50, or the other teams’ 40, it changes the game dramatically,” Johnson said. High school rosters can vary dramatically, and the disparity can become glaring on special teams. A squad with 60 or 70 players can give their offensive and defensive starters rest, knowing they have capable athletes. Take Zach Alofs. As a sophomore last fall, Alofs excelled at covering kicks and punts for Scarborough. He was fast, confident and motivated. “I could demonstrate my ability to tackle in the open field, and it gave me an opportunity to show that I could play defense and keep up with the older guys,” Alofs said. Coaches would love to have the depth to use underclassmen on special teams, thereby keeping the stars out of harm’s way. Most don’t have that luxury. For Hartman, special teams are too important to entrust to the unproven. Vance and Curit said they start practices with special teams. “You have to make sure the players understand that it really is a third of the game,” Vance said. “You can’t give it lip service. You have to give it the attention it deserves,” Curit said. Flaker said his championship game punt return was a function of catching punts in practice, getting used to looking up to the sky while hearing and sensing oncoming players. Practice helps players commit to often unglamorous roles. Practice and success can make players believe the truth: Special teams matter.